Some of the details of the second wave of UOV figures has already been discussed. Those details will not be repeated. 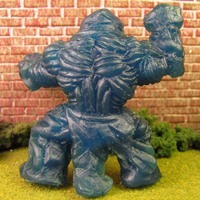 West Nile was sculpted by Jimmy of Ironhaus Productions. When the figure was ordered there were several possible coloring choices (eg, Black, Glow-In-The-Dark, Pine, Neon Red, etc.). 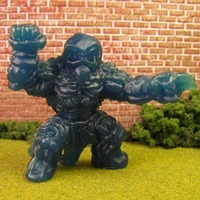 There was also an option to select a random color; which was selected and resulted in the Translucent Dark Blue figure. Like the Venus Maneater a baseball-like card was packaged along with the figure. 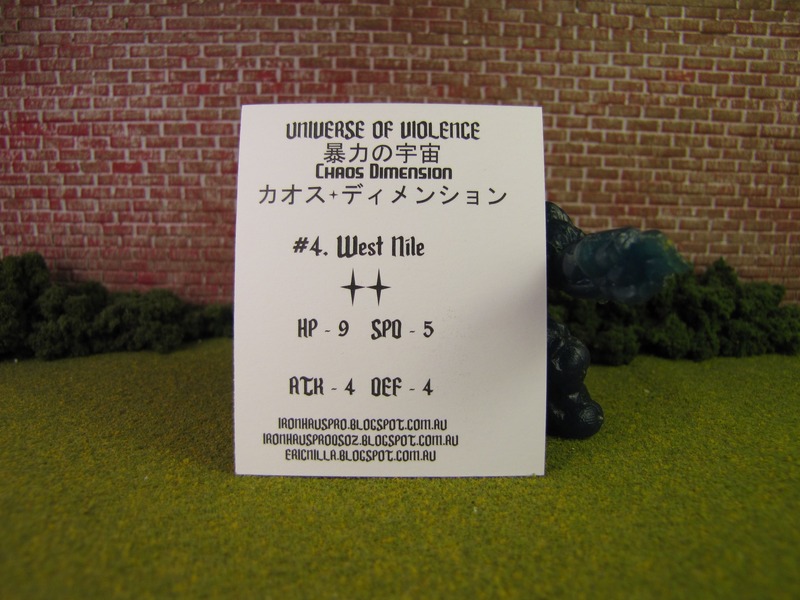 Unlike with the Venus Maneater, a set of Deathmatch game rules is now easy to find on their website. Oh man. I wrote Hell Chicken and then I wrote Deadface II and then I started writing this review. It was on this one that I remembered I wanted to complain about getting the little card out of the little baggie. It fit so perfectly that it was impossible to remove. Unless you just use scissors; which any sane person would do. Then I was glad I didn’t think of it until this moment. I also mention that because it overshadows instantly talking about West Nile. 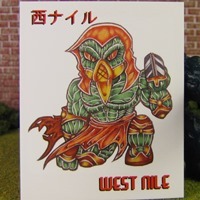 I think West Nile is a wonderful figure, but it is completely overshadowed by Hell Chicken and Deadface II. That isn’t meant to detract from West Nile. In fact it highlights how strong the other figures were in the second wave of UOV. If West Nile had been released as a solo figure, then it would have received heaps of praise. Instead it becomes the “worst” figure of the wave. That statement might be true, but that doesn’t mean it is a bad figure. I loved the detailing on the figure. I almost never want a painted figure, but this figure has so much detail that painting it would highlight some of that detail. I like all of the color illustrations for the second wave, but West Nile benefits the most from his illustration. 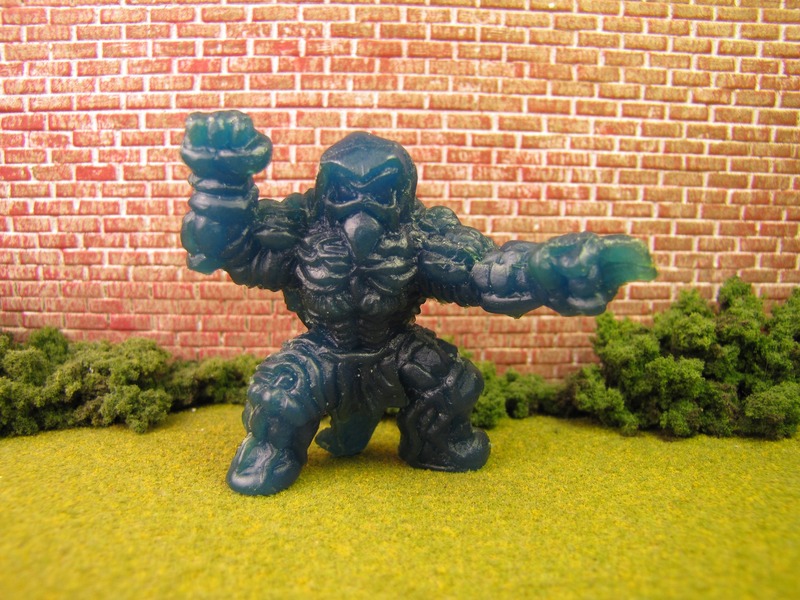 Having a figure painted is something I rarely consider, but I am very curious about getting a painted version of this figure. Don’t be a fool. 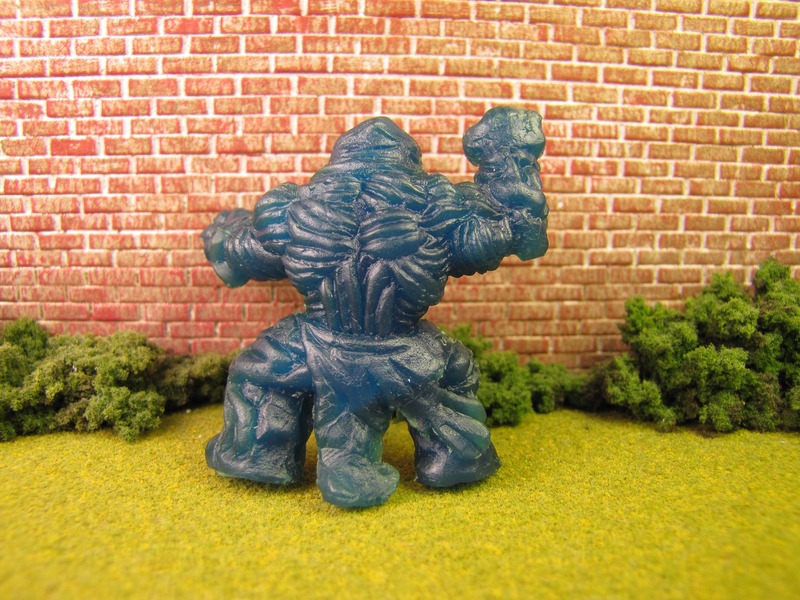 If you are looking at the other UOV figures, then it could be easy to overlook this figure. Don’t. Don’t overlook this figure because it is a gem of a figure. 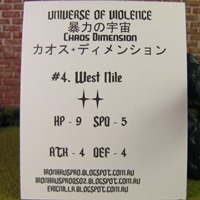 You can purchase West Nile, and any of the other UOV figures, right now. You might think you can save $8 by not picking up this figure – don’t; I’m begging you not to make that mistake. This entry was posted on Friday, November 27th, 2015 and is filed under Art, UofM News. You can follow any responses to this entry through RSS 2.0. You can skip to the end and leave a response. Pinging is currently not allowed.